Your journey to the far-east will not be wasted. China is a land of awe and wonder and if you follow in the footsteps of the great orient samurais who went before you will soon be coming into great fortunes. 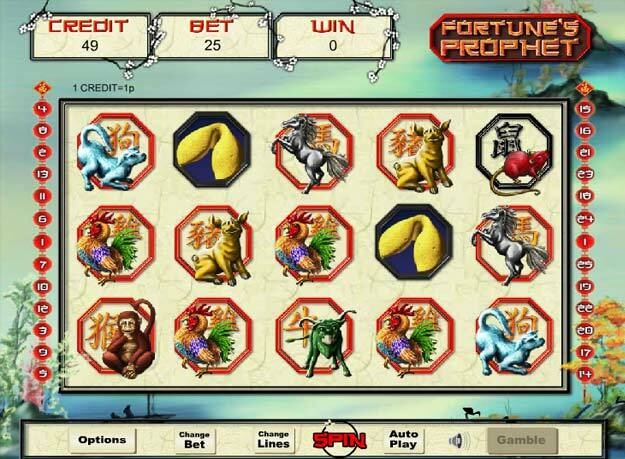 Fortune’s profit is an online opportunity into Chinese culture via this fortune cookie themed 5 reel online slots game. Eyecon is one of the most well-known slots online UK developers in the world with over 160 games available to play across their networks. This developer creates engaging, unique gaming experiences within their games. Fluffy Favourites, as well as Irish Luck, remain well known in the slot game genre and both remain some of Eyecon’s most popular online slot games to this day! With over 6 billion spins on their games every year, this developer remains one of the pioneers of the industry, has been an established name for over 20 years. This is hard not to notice and play online slots games like this one. Fortune’s Prophet is exactly what it sounds like; a prayer to the idea of Chinese luck, this game’s theme revolves around the Zodiac… with art and style to match. Simple, yet effective, Fortune’s Prophet presents a stylised take on the different animals of the far-east. Based on the lunar calendar, the game features the rooster, the monkey, and even the dragon! It is difficult to put this game down after playing its free spins. As mentioned, the game is not overly complicated in its looks – with a standard background that includes a small dashing of tropical plants, it’s not hard for your attention to remain firmly on the gameboard symbols. The well-known Zodiac theme has been used before in the online gaming world and this is perhaps because of its links to luck and prosperity, Fortune’s Prophet is no different. If anything, this game is one of the stronger additions to the market recently. Demonstrating a simplistic yet eye-popping aesthetic, you find yourself rooting for your own birth animal – making yourself feel even luckier when you win. The music fits very well with what you’d expect in a game like this; it is not too distracting, so you can focus on the easy-to-use controls for your first few spins. As it stands, the 25 pay lines present in the game mean that there are plenty of chances to win. This, coupled with the fact that there are special symbols, you can’t go wrong with a few extra spins. The slot itself manages to keep things simple with its Wild symbol (a fortune cookie!). This substitutes for everything except the Scatter and will definitely help you on your way to good fortune. One of the more welcome features is that of the Rat Scatter – if three, four, or five of these appear on the reel, you can get 15, 20, or 25 spins… definitely not something to sniff at! If you’re a high roller a single spin can be up to £50, but you are more than welcome to go all the way down to a single penny if you’d prefer a less risky slot playing experience. The main feature of the game is the Prize Pick bonus. With three or more Koi Fish on the board, you will be given a random prize; up to a maximum of a 100x multiplier! If you’re really lucky, who knows how much you could end up with! 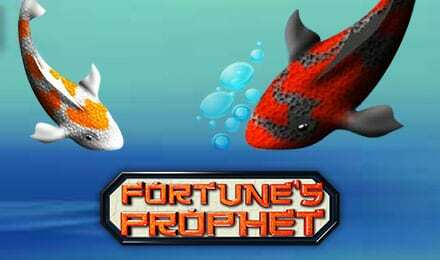 In keeping with the theme, the chance of fortune is rife in Fortune’s Prophet. Fortune’s Prophet allows you to keep coming back whenever you would like because of its prosperous prize features and intriguing game board. With the potential for a huge multiplier, the only thing that’s stopping you is your own luck and desire. Whatever your zodiac symbol, your fortune is waiting to be seized. If you like this game, you'll love starburst slots.